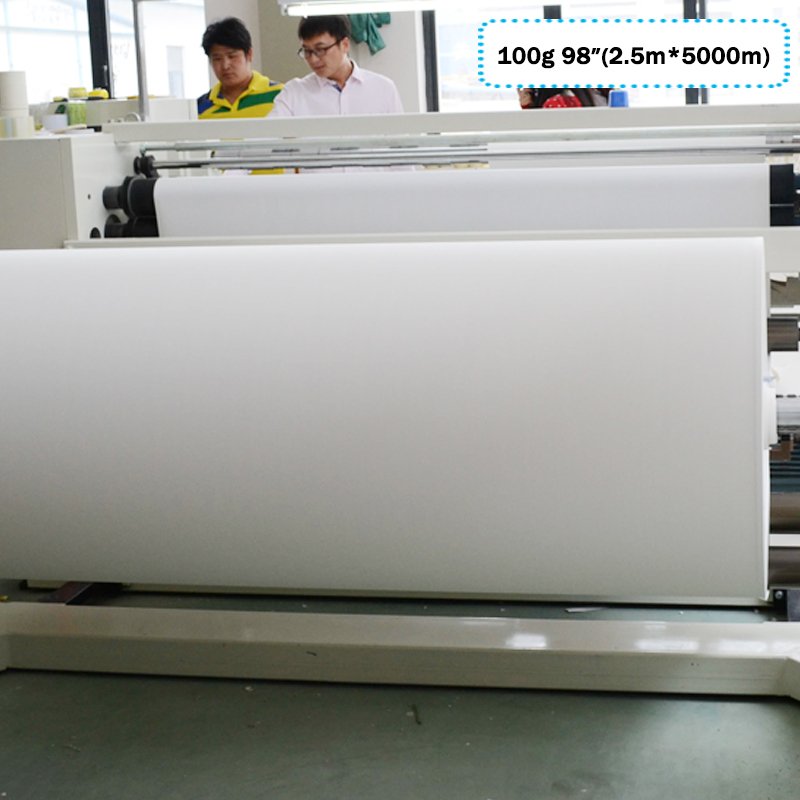 Sublimation Transfer Paper usually used in easy digital transfer printing,garment printing. Fast drying time as good as it get. Ideal for sportswear, garment, banner and flag manufacturers. The Sticky transfer paper will stick on the textile when doing the transferring.It is the best development for anti-ghosting sublimation paper. As a Sticky Version with Tack, this specialty paper will adhere to the fabric during transfer which will eliminate ghosting or loss of details due to textile shrinkage or movements in the transfer process. Therefore, it will help you reduce production errors and increase the quality of end products. Manufacturers using flat-bed presses will also benefit from the TACK as it eliminates issues such as "floating" when the heat press is opened. (1)Print images by sublimation in on TAC paper and wait until ink is dry. (2)Place the printed face on the textile, heat and press them by flat or roller heat machine under the temperature of 200°C to 220°C for 20s-25s. 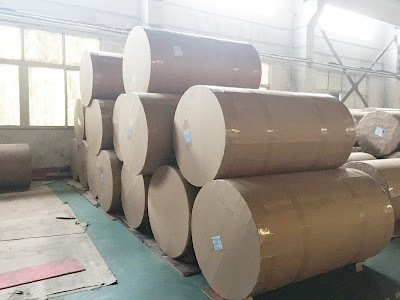 At this time our paper will stick on the textile. (3)After heating, wait until paper and textile cooling and tear off the paper from the textile. You will fined the image is transferred to the textile clearly. (1)Make sure the ink of the image dry before doing the transfer. (2)Do not leave TAC paper under high temperature environment before doing the transfer.Otherwise it will affect the viscosity of TAC paper. (3)Different and humidity affects the viscosity of TAC paper. If paper sticks too fast on the cloth after printing, waiting 3-5 min or more until the cloth is totally cool and tearing. (4)TAC paper can be used for transferring chemical fiber, blending textiles, especially for elastic textile.